The Zurwain article used to gain FDA approval to remove the nickel contraindication was conveniently released around the same time Conceptus Inc. was in litigation with Hologic Inc. They manufactured the only other "non-surgical" sterilization device Adiana, which did not contain nickel. This press release not only proves corporate greed and obvious disregard for women's safety, but also failure on the part of the FDA to prevent harm. MOUNTAIN VIEW, Calif., Aug. 4, 2011 (GLOBE NEWSWIRE) -- Conceptus, Inc.(Nasdaq:CPTS),developer of the Essure® procedure, the most effective non-surgical permanent birth control method available, today announced that effective immediately, the U.S. Food and Drug Administration (FDA) has approved the removal of the nickel hypersensitivity contraindication from the Essure procedure Instructions for Use ("IFU"). The label change expands the number of potential patients for Essure, and is supported by nearly a decade of commercial use and data gathered from the Essure clinical trials that demonstrate no causal relationship between nickel sensitivity and wearing the Essure micro-insert. In fact, over the course of a half million placements of the Essure micro-insert, the complication rate is very low at 1-in-10,000. The Essure micro-insert is constructed of a stainless steel inner coil, a dynamic outer coil made from a nickel titanium alloy called Nitinol, which is commonly used in many medical devices and permanent implants, and a layer of polyethylene terephthalate, or polyester fibers, wound between the inner coils. There is an abundance of data to support the safety of other established devices that contain nickel titanium. The reported incidence of adverse events suspected to be related to nickel hypersensitivity in patients with Essure micro-inserts is extremely small (0.01%). The incidence of confirmed nickel reactions is even smaller. The average amount of natural nickel ingested daily from food and water is 300 micrograms per day, whereas the highest measured rate of nickel that goes into the body from an Essure micro-insert was found to be 0.14 micrograms per day. The Essure data demonstrate an almost negligible occurrence of proven nickel-related reactions. "This FDA label decision will further strengthen our competitive advantage and leadership in the permanent birth control market, and we are pleased that we were able to secure it," said Mark Sieczkarek, president and chief executive officer of Conceptus. "The upgraded label change significantly diminishes the biggest competitive selling point of our competitor's hysteroscopic sterilization product against Essure, which was the nickel hypersensitivity contraindication." "We will be aggressively marketing this IFU change to the OB/GYN community, and especially to those physician accounts that are trialing the competitor's product primarily because of potential nickel allergy in patients," said Mr. Sieczkarek. Physicians will be advised to continue to counsel patients about the risks and benefits of the Essure procedure, including the possibility of an allergic reaction to the micro-insert or development of an allergy to nickel. The Essure procedure, FDA approved since 2002, is the first permanent birth control method that can be performed in the comfort of a physician's office in less than 10 minutes (average hysteroscopic time) without hormones, cutting, burning or the risks associated with general anesthesia or tubal ligation. Soft, flexible inserts are placed in a woman's fallopian tubes through the cervix without incisions. Over the next three months, the body forms a natural barrier around and through the micro-inserts to prevent sperm from reaching the egg. Three months after the Essure procedure, a doctor is able to perform an Essure Confirmation Test to confirm that the inserts are properly placed and that the fallopian tubes are fully blocked, allowing the patient to rely upon Essure for permanent birth control. The Essure procedure is 99.95% effective based on one year of follow up with zero pregnancies reported in clinical trials, making it the most effective form of permanent birth control on the market. The procedure is covered by most insurance plans, and when it is performed in a doctor's office the cost to the patient may be as low as a simple co-pay. Essure has been proven and trusted by physicians since 2002, with approximately 550,000 women worldwide having undergone the Essure procedure. Conceptus, Inc. is a leader in the design, development, and marketing of innovative solutions in women's healthcare. The Company manufactures and markets the Essure procedure. The Essure procedure is available in the United States, Europe, Australia, New Zealand, Canada, Mexico, Central and South America and the Middle East. The Company also promotes the GYNECARE THERMACHOICE® Uterine Balloon Therapy System by ETHICON™ Women's Health & Urology, a division of Ethicon, Inc., in U.S. OB/GYN physician offices. 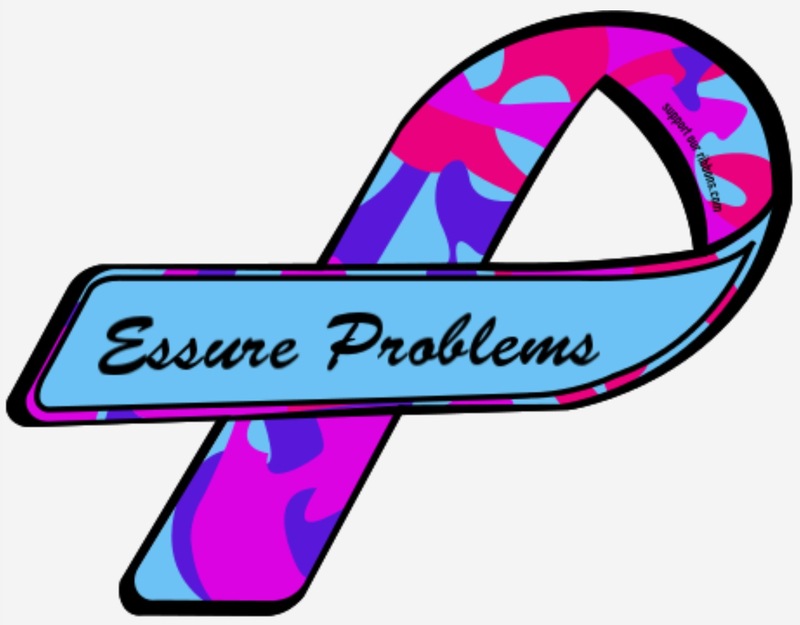 Please visit www.essure.com for more information on the Essure procedure. Patients may call the Essure Information Center at 1-877-ESSURE-1 with questions or to find a physician in their area. Except for the historical information contained herein, the matters discussed in this press release include forward-looking statements, the accuracy of which is subject to risks and uncertainties. These forward-looking statements include discussions regarding expected benefits from the FDA-approved removal of the nickel hypersensitivity contraindication in the Essure procedure Instructions for Use ("IFU") that expands Essure indications for use, our ability to market effectively to physicians and prospective patients, and the expected attainment of strategic initiatives intended to grow the business. These discussions and other forward-looking statements included herein may differ significantly from actual results. Such differences may be based upon factors such as changes in strategic planning decisions by management, re-allocation of internal resources, changes in the impact of domestic and global macroeconomic pressures, reimbursement decisions by insurance companies and domestic and foreign governments, scientific advances by third parties, litigation risks, attempts to repeal all or part of the Patient Protection and Affordable Care Act of 2010, and the introduction of competitive products, as well as those factors set forth in the Company's most recent Annual Report on Form 10-K and most recent Quarterly Report on Form 10-Q, and other filings with the Securities and Exchange Commission. These forward-looking statements speak only as to the date on which the statements were made. We undertake no obligation to update or revise publicly any forward-looking statements, whether as a result of new information, future events, or otherwise.